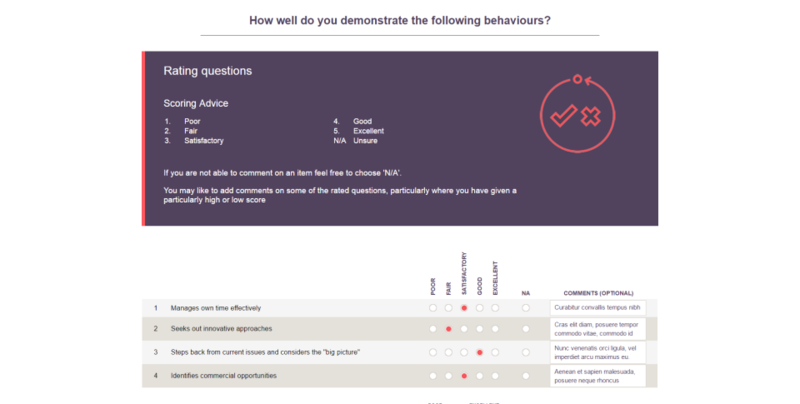 Typically HR, L&D and OD leaders in medium to large organisations choose MyTalent when they require a powerful feedback tool, to resolve complex issues within their company. As a leading 360 feedback specialist, there are many ways we can support you and your employees. 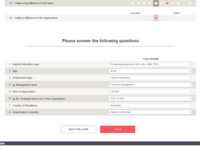 Our Self-Install tool has been designed as an entry point into our elite expertise, complimenting our extensive portfolio of MyTalent software, developed to make customised, complex 360 projects a dream to deliver. Offering unrivalled functionality, easy access to branded tools & sophisticated dashboard displays of data, you'll feel reassured that your 360 is processed by robust, reliable technology. Comments: MyTalent offers a great system for 360. we use it frequently for feedback for all levels of staff. The system itself is very user friendly. Once you have your head around how it works and how to upload data, you find it is in fact very straightforward and quick to use. There is a lot of flexibility in being able to change categories easily, merge users should you accidentally create 2 accounts and event formatting of reports. Producing a report takes seconds. I would say the one con is that if you don't have enough people complete in one category, it often groups the feedback with another category to protect anonymity (rightly so). However, there is no control over which category it combines with so sometimes this not appropriate. There is a way round it though. Thanks so much for the lovely review, it¿s a real pleasure working with you! In regards to the grouping, it is something we are developing towards the next MyTalent software update. At the moment it picks the group most statistically similar to merge with to avoid any misleading data. In the meantime we can do this behind the scenes for you though, so do let me know of any that you would like merged manually and I can get that done for you. Pros: I loved how its very easy to navigate and use with the proper instruction. I used this software for the HR jobs that I had. Cons: I didnt like how this software would stop in the middle when I was using it the majority of the time. It didnt have anything to do with the internet speed, I just think that it was more to do with the software malfunction. Comments: The overall 360° Feedback Process helps the appraisees to develop increased self awareness, to better understand their strengths and to discover any blind spots. Above all, it helps them take ownership of their personal and professional development. 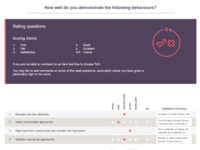 As a CPD tool, it is very good for both the individual and organisation, it just depends to what extent an organisation maximises the 360 feedback process in order to drive change and improvement. We have been using the the 360° Feedback Process developed by Talent Innovations for the past two years and have found it fulfills our current organisational needs. The report for each participant (including both quantitative and qualitative data) is presented in a clear and easy-to-understand format which our staff and their line managers have found helpful. The customer service from Talent Innovations are excellent; the staff are very helpful and prompt in responding to queries and reports are sent swiftly when requested. I would definitely recommend Talent Innovations if an organisation is planning on using the 360° Feedback Process. Comments: Self install 360 is a new tool from Talent Innovations. 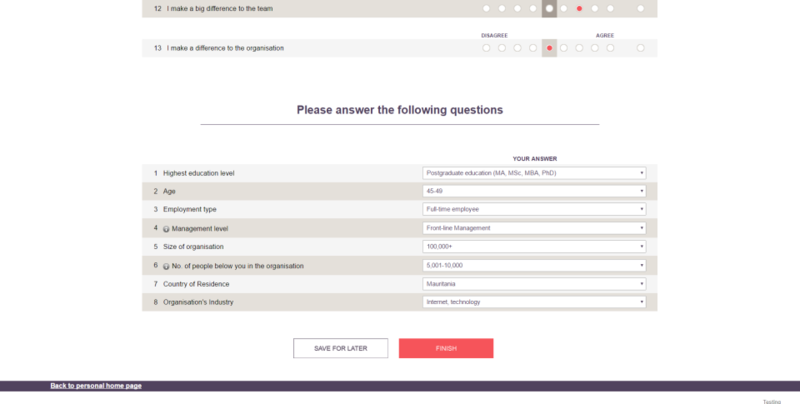 It is very flexible and you can tailor aspects of the Inspiring Leader questionnaire to suit your clients or even design your own 360. This widens the scope any 360 project you may have. It is easy to use and any areas not understood there is an excellent team under our rep with people like our rep to support so you are not alone despite the name. Our rep has bailed me out of any mistakes I have made in my first project going beyond what I could reasonably expect. I think this tool complements the existing 360 tools that Talent Innovation has on offer and ought to be relevant to HR consultants and HR people who want a great 360 tool to help develop their organisation and its leadership potential. Comments: Very impressed with the whole process both as a participant/user and as the lead coordinator of my Company's internal project team. Everyone at Talent Innovations has been professional, approachable, helpful and proactive throughout. I am not a 'Techie' so what I feared from inception, given the complex nature of our international business and reporting structure, would be an administrative nightmare was in fact very smoothly managed from start to finish. From my perspective as a focus subject, the software was extremely user friendly, communications were clear and the report generated was exceptionally detailed and imformative. Comments: MyTalent is a great piece of software which enables our clients to customise their 360s using their Competency Based Framework. It enables the focus to manage their own sessions and us to customise certain areas of the project platform. The whole team at Talent Innovations are great, extremely knowledgeable, friendly and always willing to help. Their level of customer service is excellent and they are 'helpful experts' in their field. We have worked with them for many years and will continue to do so. Comments: As a development co-ordinator rather than a practitioner I process participants on TI's system. I find it very easy and intuitive to use. On the odd occasion I get stuck, the phone support is excellent. They pick up immediate, understand my problem and talk me through a resolution. The report dashboard is very useful. Invoicing and account admin is good too. I've been in this role for 20 odd years and rarely come across suppliers this good ' TI are an absolute delight to deal with and such nice people. Comments: The MyTalent system works perfectly for our 360 and appraisal process. We were nervous about moving to an online system after years of paperwork, but the transition went much smoother than anticipated. The team behind the scenes are brilliant - from minor tweaks to the bigger changes - the IT team are fantastic at finding a solution that's right for the customer. And our account manager and administrator have always provided 5* customer service - no problem to big or small. Comments: When we were using this software it really helped us find the right candidates for the right roles. We were able to choose long-term employees and we still use this software today. Very straightforward and easy to use. Comments: I have been happy with the willingness of the team to work with us to customise the software so that it is more accessible for our staff. We have worked with Talent Innovations for the last 4 years and they have been great. Comments: Really easy to use, great customer service. Always answer my questions quickly and are always really helpful. Comments: Talent Innovations are very quick to respond and very helpful.